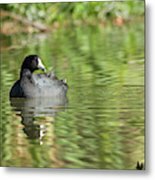 Crazy Coot is a photograph by David Cutts which was uploaded on January 20th, 2013. 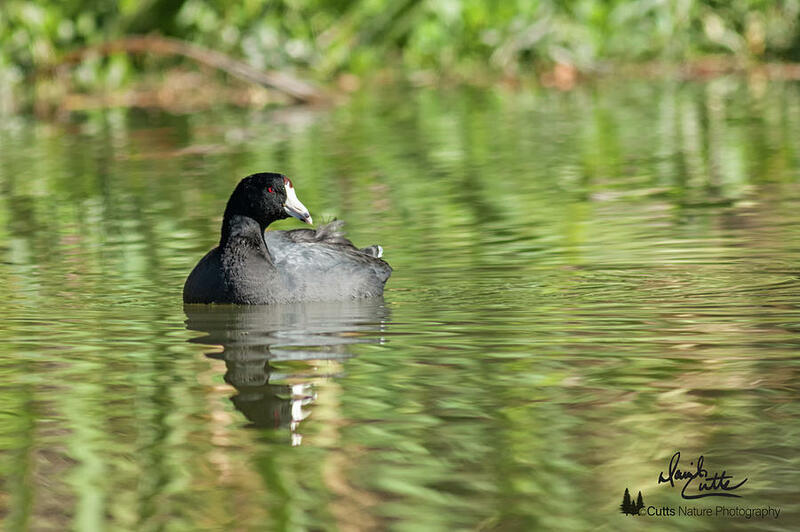 The waterborne American Coot (Fulica americana) is one good reminder that not everything that floats is a duck. A close look at a coot—that small head, those scrawny legs—reveals a different kind of bird entirely. 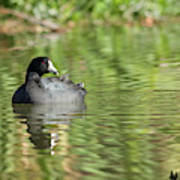 Their dark bodies and white faces are common sights in nearly any open water across the continent, and they often mix with ducks. But they’re closer relatives of the gangly Sandhill Crane and the nearly invisible rails than of Mallards or teal. 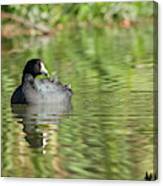 This one swims at White Rock Lake in Dallas, Texas.